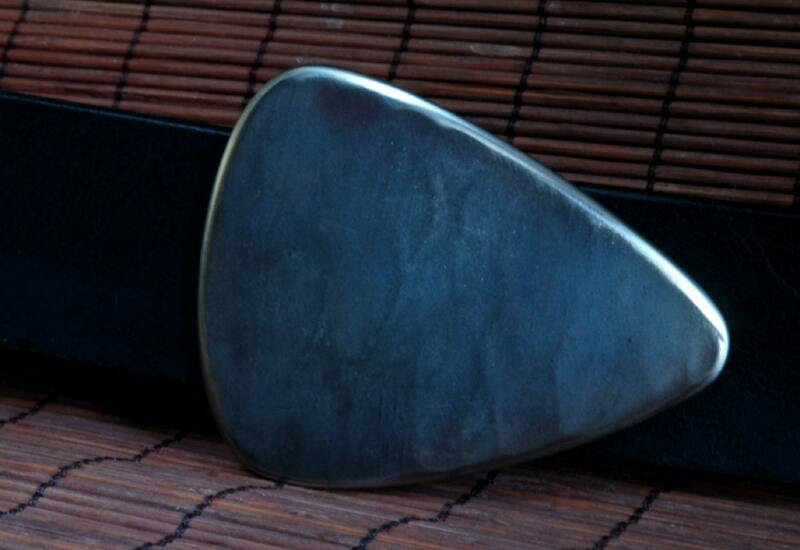 Hand Forged Guitar Pick Belt & Buckle Set Canadian Made on the Artist's anvil. 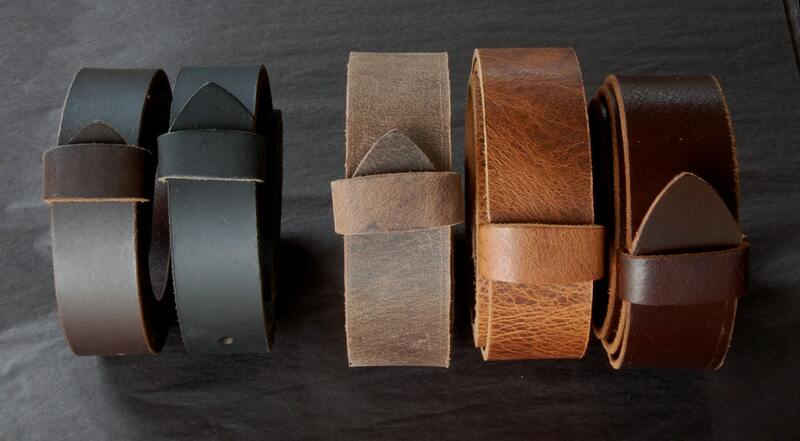 Buckle with 1.5" belt for blue jeans & chinos. 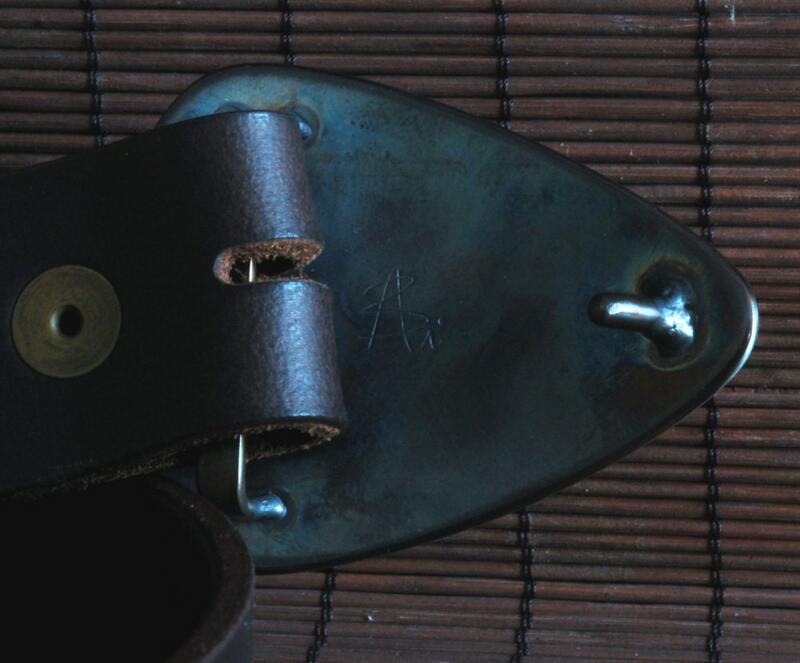 The measurements for this buckle are 3" x 2-1/4". 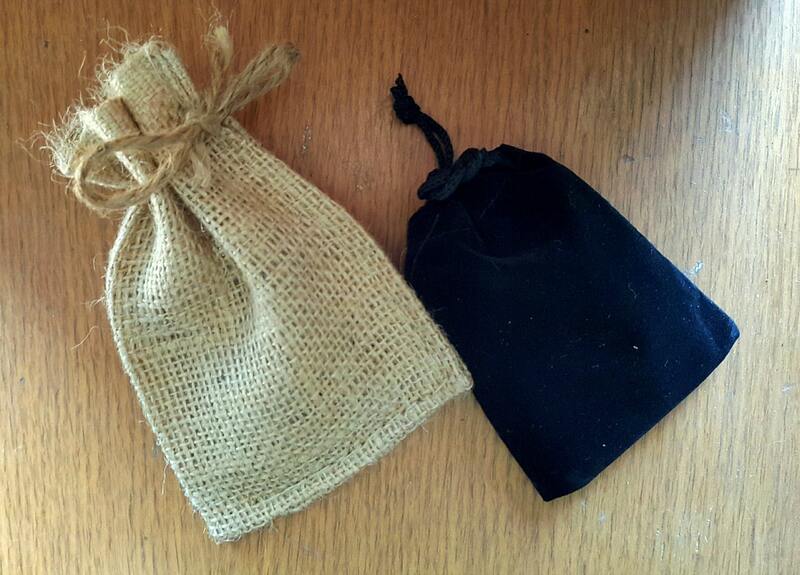 Black velvet bag or beige burlap storage bag is included with each belt buckle made by Artist, Robert Aucoin. Please let us know which colour you prefer. *Please send us your waist measurement, colour of belt, quantity of belts and width of belt needed. 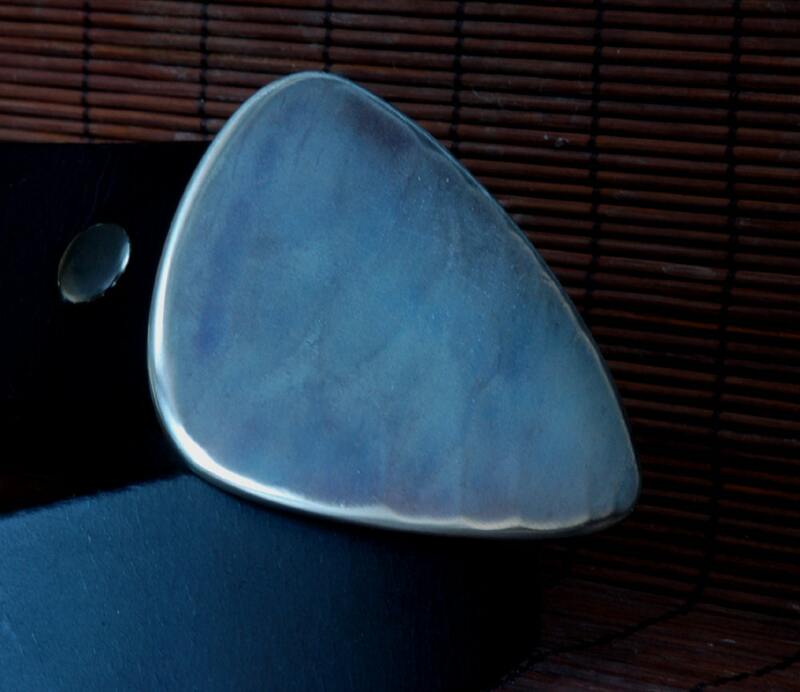 Buckles to fit a 1-1/4" belt for suits also available in this style.